Unpacking your dorm essentials when you move into your college dorm room usually involves ending with a pile of small dorm necessities that you have no idea what to do with. You don't want to create a junk drawer for these dorm items in your college dorm room or just leave them in a pile on your dorm dresser. Not only will the second option detract from your dorm room decor, but creating a junk drawer won't keep you very organized. Plus, you're in a small dorm room - you don't really have the option or room for a drawer to be filled with a random assortment of cosmetics, art supplies, and extra desk accessories. 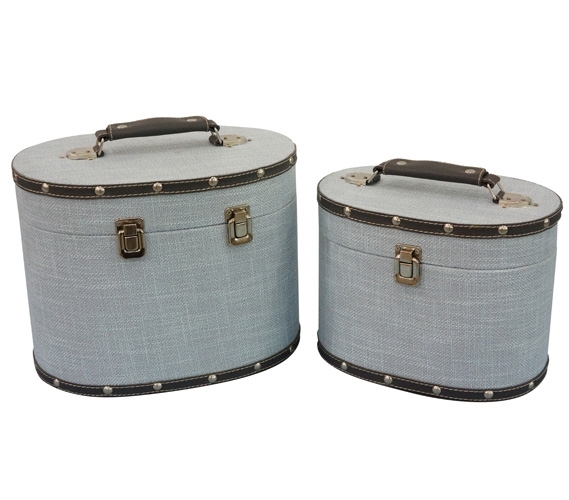 Keep those small dorm items organized in a dorm storage solution like our Bleached Aqua Texture Mini-Trunks (Set of 2) - Rounded Style. 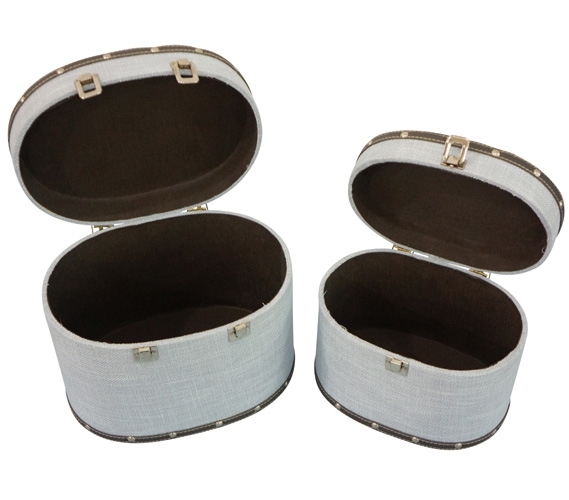 These dorm trunks come in a set of two to maximize your dorm room storage space and are compact to sit anywhere you have some extra dorm space. Sure, you can keep these dorm storage solutions on your college closet shelf, but with a great design, why would you want to?! These dorm necessities can add to your dorm room decor by sitting on your dorm desk or dorm dresser! Each mini dorm trunk has light aqua textured fabric around the entirety with riveted details on the top and bottom classic dorm room decorations that will make your dorm room decor look complete.